Story No. 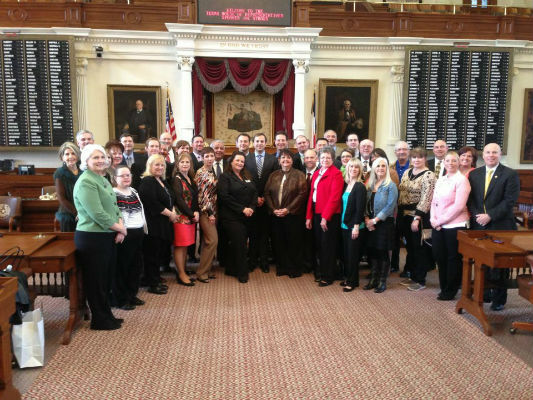 1 – Athens Day at the Capitol: Tuesday, members of the Athens community traveled to Austin for Athens Day at the Capitol. Why it is important: Face time with elected officials is one of the most important factors in government. Learn more: There was a story in the Review. Story No. 2 – County lawmakers file legislation: State Reps. Jim Pitts and Lance Gooden have both filed legislation that is drawing attention. Why it is important: There is a reason we call them “law-makers” … it is sort of what they are supposed to be doing. Learn more: I wrote about this issue. Story No. 3 – Local connections to Carnival Triumph: The country watched in fascination as a crippled cruise ship limped its way into port this week. Why it is important: Besides the media attention the story received, we learned that a Kemp resident with ties to Malakoff was onboard. Story No. 4 – Lady Cards are No. 1: The Trinity Valley Community College Lady Cardinals moved into the top spot in the national ranking this week. Why it is important: Because the Lady Cards have a legitimate shot to repeat as national champions. Learn more: In the TVCC Sports Notes. Story No. 5 – Big honor for Railway Cafe: The Railway Cafe in Athens was named in the Texas Monthly recommendations section. Why it is important: Because we love Texas Monthly .. and we love the Railway Cafe. Learn more: Rich Flowers over at the Review had a good story. Our first birth announcement. Nice to meet you Alexis Faith Crye. The Athens ISD February Teachers of the Month were named. We had some photos from a sweet bake sale for Valentine’s Day. We need to celebrate academics just as much as athletics … and this story by Jayson Larson on an Athens boy’s gold medal in number sense does just that. Don’t forget to check our community calendar for this weekend’s cool events: Barrel racing in Malakoff; Heart & Sole at the Cain Center; and the For the Love of Art show.